Grand Opening of Cultural District: Little Mekong at "Taste of Little Mekong"
Loud. Colorful. Celebratory. This was the mood of the packed and festive space inside Mai Village Restaurant last Saturday. The AEDA (Asian Economic Development Association) held it’s ribbon-cutting event full of congratulatory speeches by Mayor Chris Coleman and nearby business owners, a photo op signing by Miss Minnesota Nitaya Panemalaythong, and a cultural showcase opened the crowd with performances by a Korean dance troupe, a drum team, and a traditional dragon dance. Attendees were served free samples of an aromatic array of food by Mai Village and food tours we held around the neighborhood to promote the surrounding good eats. 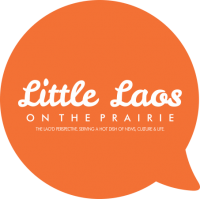 So now we can call the publicly obvious yet official small cultural district: Little Mekong. It’s a perfect nod to commemorate the many Southeast Asian immigrants who started the majority of over 100 family-owned businesses, shops, restaurants, and nonprofits along University Ave.
Where is this district? It’s not hard to find as you drive along the avenue, but for now AEDA can’t put up signage until the light rail line construction is finished. You’ll see that Little Mekong is specifically labeled within a 5-block zone of University Ave from Galtier to Mackubin Street in St. Paul. AEDA as well as the local business owners hopes that the cultural district will drive in more visitors and patrons to the area as a Southeast Asian food gem and shopping haven. With small treasures from Hmong books to some of the most authentic bowl of Vietnamese pho, Minnesotans flocking to this area won’t be disappointed.